New Delhi : Talking tough against Pakistan, Indian cricketer Gautam Gambhir on Wednesday suggested calling off all ties with the neighbouring nation till cross-border terrorism ends completely. "I would not even think of playing cricket with Pakistan. 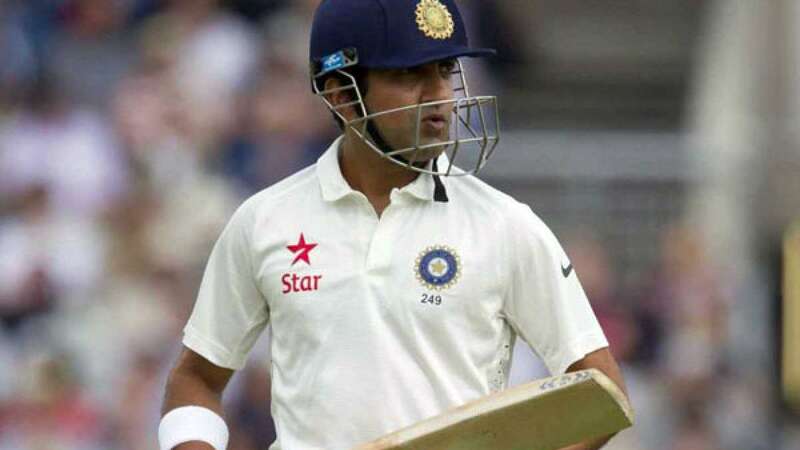 Indian lives are more important than sports," Gautam Gambhir told media in New Delhi. "I absolutely endorse that we should not have any relation or ties with Pakistan until the time this cross border terrorism finishes. People need to put themselves in army's shoes who have lost their kids, someone has lost their father, son. "We can say this sitting in an AC room that cricket or Bollywood should not be compared to politics as long as we don't think ourselves as Indians, or think for our own countrymen. So I totally endorse that until the time we don't secure our own Indians, our own countrymen, all other things can be kept aside," the 35-year-old added. Apart from him, India Test skipper Virat Kohli had also condemned Pakistan for recent Uri Army base attack. Virender Sehwag was another cricketer to slam Pakistan for Uri attack that had killed 19 Indian soldiers during the fight. The Indian team has not played a bilateral series with Pakistan since the 2008 terror attacks in Mumbai. India were due to tour Pakistan in January 2009 but that series was cancelled following the attacks. Another scheduled series in March-April 2012 was also cancelled after the Indian government refused to give the green signal to the tour.